More Canadian women are waiting until later in life to have their first child, and now researchers want to find out why. According to Statistics Canada, a third of Canadian women are waiting until their 30s to have their first child. The national birthrate for women in their 20s is declining and now University of Saskatchewan researchers Karen Lawson and Pamela Downe want to know if that national trend holds true in their province. The researchers plan on interviewing 60 women in Saskatchewan between the ages of 18 and 45, where they will be asked why and how they decided on the timing of motherhood. Once that’s complete they plan on surveying 1,000 women across Canada who are childless, but plan on having children. They hope the research will provide insight on the values considered most important to women when deciding to start or not start a family. 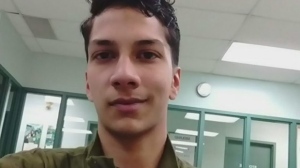 “What we’re hoping to find is that women will be able to tell us the things that were most important to them as they were making their reproductive decisions,” Lawson told CTV News Saskatoon. “I’m particularly interested in looking at what are some of the cultural dynamics that come to play as women make those decisions,” Downe added. The pair want to educate women on fertility and their options, pointing out that chances for pregnancy start to decline after age 28. Mom-of-two and entrepreneur Jordana Jacobson waited until her 30s to have children after focusing on her university studies and career in her 20s. Despite her mother having her first child in her 20s, Jacobson waited until she was 31. 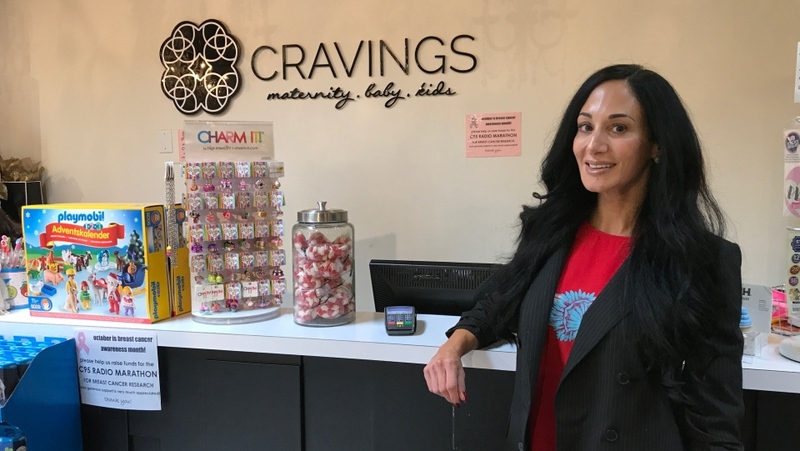 She has now opened a maternity and baby boutique store called Cravings in Saskatoon. In 1990 the average age of a first time mother was 26. Jordana Jacobson, who runs maternity and baby boutique Cravings in Saskatoon, with her two children.